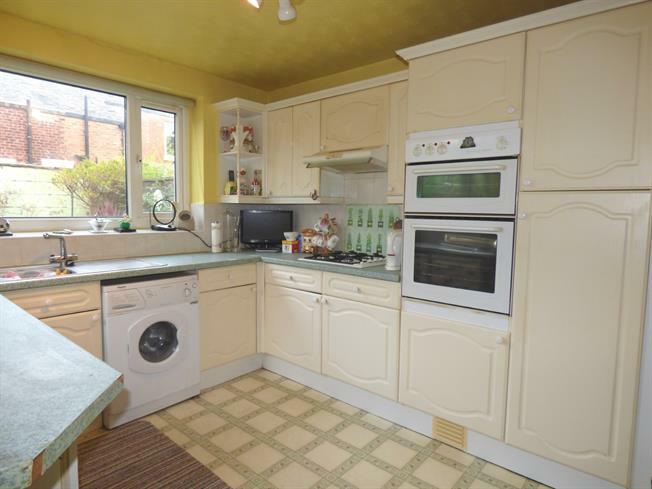 2 Bedroom Terraced House For Sale in Preston for Offers Over £79,000. Well presented and extended two bedroom terraced home boasting a spacious dining kitchen and four piece bathroom. Offers excellent access for Preston city centre and University. No chain delay and viewing highly recommended. The accommodation briefly comprises; vestibule, lounge, dining room, spacious kitchen, to the first floor, two double bedrooms and four piece bathroom. Double glazing and gas central heating system, rear courtyard. Not to be missed! Double glazed window to the front, marble mantle with living flame gas fire, radiator and meter cupboard. Staircase leads from the dining room to the first floor landing, radiator and under stairs storage. Double glazed window to the rear and side, wood panelled door to the side, range of wall and base units with complementary work surfaces, stainless steel sink and drainer, gas hob and oven with extractor, boiler, space for washer, part tiled walls and radiator. Double glazed window to the rear and loft access. Double glazed window to the front, fitted wardrobes and radiator. Double glazed window to the rear, radiator and storage cupboard. Spacious four piece bathroom comprising; corner bath, shower cubicle, wash basin, low flush wc, part tiled walls, radiator and double glazed window to the rear. Wall enclosed rear courtyard with paved patio and mature shrub borders, gated access to the lobby.